Cheese is a natural accompaniment for wine, complimenting is tannic and acid properties as well as wines rich and varied flavours. 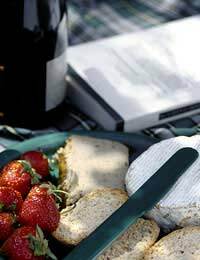 Cheese has grown in tandem with wine over millennia as a natural first choice pairing, with some pairings so astounding as to make it seem that they had been absolutely made for one another – even though some of the pairings (such as Port (from Portugal ) and Stilton (from England) existed separately long before they were ever united! There is much written on how best to match cheese with wine, some of which would have you believe that you need some special powers of taste before you should be allowed to make a decision as crucial as which cheese to serve with your wine, or vice versa. The truth is that pairing cheese with wine is incredibly simple, and is often achieved instinctively. A bitter and ripe tasting mature cheddar for example is perfectly well finished off with the bold noted that a simple ‘noble red’ such as a good Cabernet Sauvignon or Merlot offer. The boldness of New World wines often goes well with Cheddar, making it a good pairing for any occasion. The sharpness of a white wine (unless its particularly buttery Chardonnay) would not, on the other hand, go so well with Cheddar – and you may wish to try something a bit more tangy, such as Roquefort, with a Sauvignon Blanc, or a Riesling, for example. Another good way to pair cheeses is by locality: A Burgundy red (or white, though convention favours the former, which means not a lot) goes down very well with an Epoisses cheese from the same Bourgogne region. This often ensures that flavours will be complementary as years have gone into a gradual matching of flavours according to the strengths of the region. However, that is not to say that a Burgundy wine will necessarily pair better with an Eposses than with a similar wine made in New Zealand and sold at a fraction of the price, to boot!). The main thing with cheese and wine combinations is to carry on discovering, and this can only be achieved through experimentation. Looking now to the notes made after one recent drink and cheese fuelled evening I can see that whilst convention looks on the wine and cheese lover admirably, the inclusion of a stilton cheese alongside a Burgundy wine may well turn the average wine expert pale. However, it was well appreciated. On that evening we drank: Michel Picard: Bourgogne Chardonnay, Recolte du Chateau de Chassagne-Montrachet’ (2004) £12 from The City Beverage company, 303 Old Street. This wine was, as said, ‘smokey’, with a lingering aftertaste. It is described variously as having woody, citrus and mango aftertastes. Clear and very crisp. A 2006 Riesling from the same shop. We didn’t note the name. It was one of several affordable Rieslings available there. £6. It did what a Riesling ought to. It was simple, direct and sharp. German wine has suffered in reputation, but is justifiably on the rise, making it a good cheap alternative to other specific village or vineyard grown European wines. A 2007 New Zealand Oyster Bay Sauvignon Blanc. £7.99 from Somerfield’s. This is looking to be a classic, and real proof that New Zealand is the success story so far as quality affordable wine goes in the New World regions. Note the ‘pebbles’ and strong citrus flavours. The citrus in this one will blew me away on first taste, but abated after the third mouthful. We ate: Tesco’s finest A.O.C. Eposses and Tesco’s Finest A.O.C. Roquefort and Tesco’s Finest Stilton.